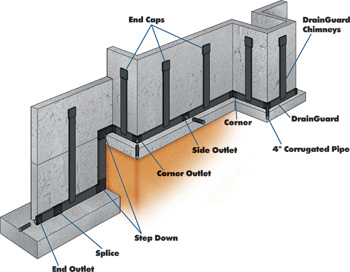 DrainGuard strip drain is a composite foundation drainage material. The non-woven fabric prevents soils from clogging the DrainGuard. DrainGuard can be used for foundations, yard and lawn drainage and landscaping drainage.